* Mariell's spectacular heirloom bracelet features an intricate design of inlaid Cubic Zirconia with a dramatic rose center. 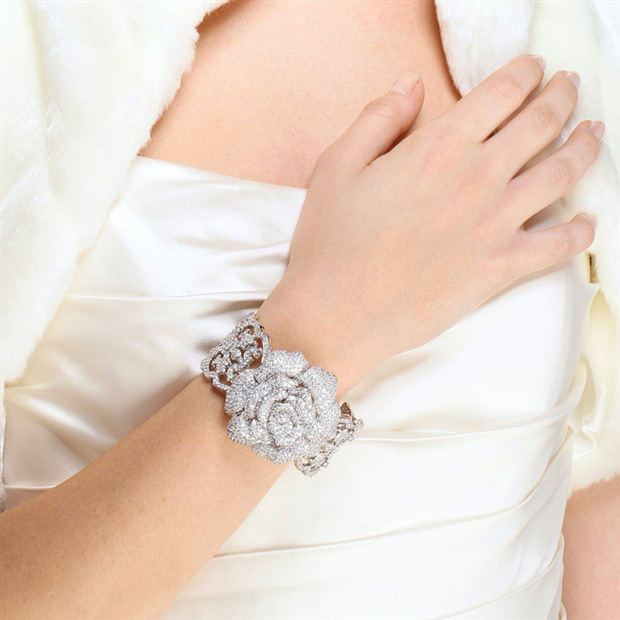 * This top-selling wholesale wedding or special occasion bracelet is a must-have vintage showpiece for any bridal retailer and is a luxurious conversation piece jewelry lovers can't resist! 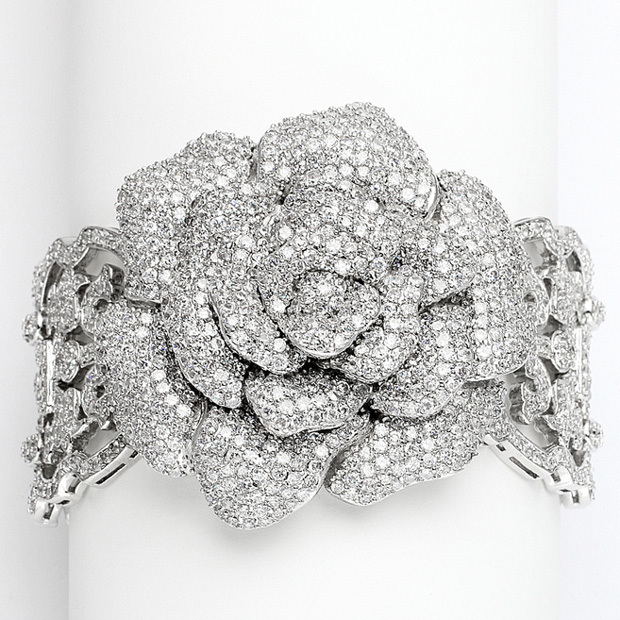 * Mariell's 7" heirloom bracelet boasts an intricate Cubic Zirconia design and a 2" dramatic rose center. * This best-selling bridal or special occasion bracelet is plated in rhodium & has a safety clasp used in fine jewelry for that "look of real".